Racing at Peterborough Speedway on a weekly basis, Corey Strawn is putting together a solid season in the Pure Stock division with consistent finishes in the top-five each week. Running an OSCAAR Modified and Outlaw Midget event on the same weekend, Wally Wilson was able to walk away with a top-10 finish. 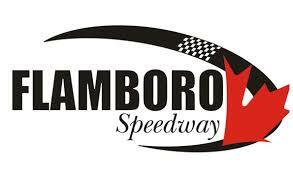 In his first race back since injuring his thumb in the season opener at Sunset Speedway, Luke Gignac drove a flawless race en route to scoring a fifth-place finish on Friday night at Kawartha Speedway. Beginning to track down the leader in his qualifying heat, A.J. Emms saw his night go up in smoke at Kawartha Speedway on Friday.